This Field Report includes information submitted by KHRG researchers describing events occurring in Hpa-an District between January and December 2013. The report describes human rights violations, including drug production, sale and use, especially in Nabu Township; landmines and restrictions on the freedom of movement, land confiscation, arbitrary taxation, forced labour, extrajudicial killings and fighting between armed groups causing injury to civilians. The report also documents issues important to the local communities, such as access to education. In Hpa-an District, there are many armed groups operating, including the Tatmadaw, Karen National Liberation Army (KNLA), Border Guard Force (BGF), KNU/KNLA-Peace Council (KNU/KNLA-PC) and the Democratic Karen Benevolent Army (DKBA). The multiplicity of actors in Hpa-an District contributes to the complexity and variety of human right abuses documented by KHRG. 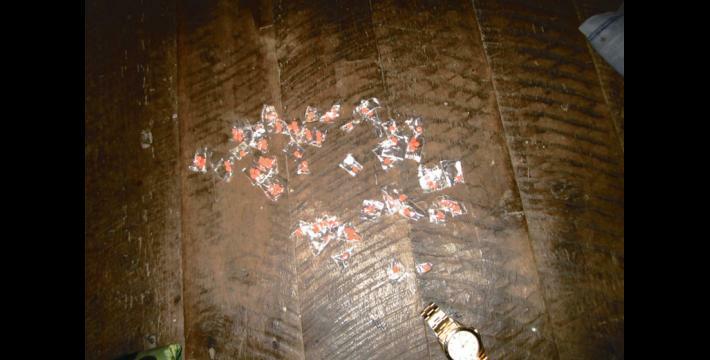 In 2013, KHRG continued to receive reports concerning the production, sale and use of methamphetamines in Hpa-an District, particularly in Nabu Township. In fact, villagers in Hpa-an District have consistently identified the sale and use of drugs and the subsequent social problems in their district as one of their primary concerns. Furthermore, KHRG has received an increased number of reports concerning narcotics since the 2012 preliminary ceasefire; this has been attributed to the increased cooperation amongst armed groups and the increase in the number of areas accessible to KHRG community members. In Hpa-an District, methamphetamine, commonly referred to by its Thai name yaba, is produced and sold by state and ethnic armed groups, causing villagers to fear addressing the issue publicly due to documented incidents of violent retribution or even death. 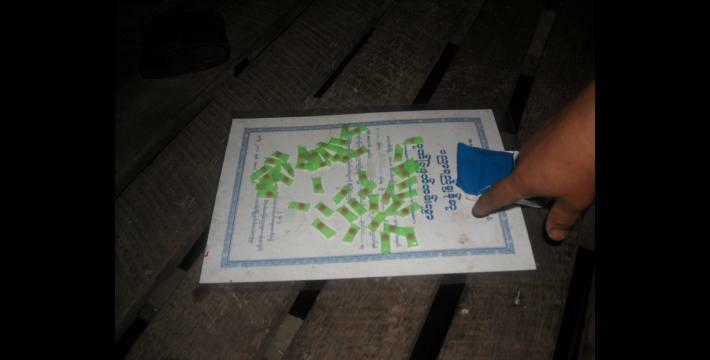 Methamphetamine is widely available in Hpa-an District and KHRG has received numerous reports of its negative social impacts, including addiction, mental health issues and financial hardship, as well as violent incidents, including killings, threats and intimidation. 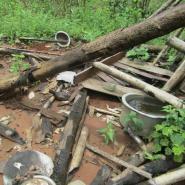 The widespread use of methamphetamines and its social impacts are reflected in several reports KHRG has received of drug fuelled rampages where villagers have had to fear for their safety. For example, on February 11th 2013, DKBA Officer Maw Bee Aye, intoxicated from methamphetamines, returned to A--- village in Nabu Township and randomly fired his gun throughout the village. Although villagers were afraid, they dared not report or speak about the incident. In another incident, on February 16th 2013, in B--- village, Nabu Township, Saw C---, who had been using yaba, came back to the village and destroyed a substantial amount of villagers’ property and killed several farm animals. KHRG has consistently received reports from villages relating their frustration over their inability to stop the sale and production of drugs in their area. 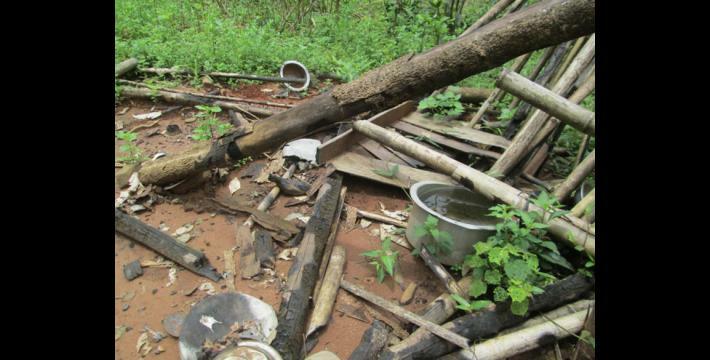 The sale of methamphetamines can be quite lucrative for some villagers, which can impede efforts to eradicate the sale of drugs in local villages, and as one female villager from Htee Hpoh Kyaw village tract noted, “You can get half of your profits by selling methamphetamines”. Some women are worried about their children as people can find drugs easily around the villages and they worry for the young people who are using those drugs. However, villagers often reported feeling like they cannot do anything to protect themselves and their family. One villager stated, “Even the village head and village tract leader, they can’t…[do anything about the drug problem]…as people who sell them have oh daw aner.” One of the KNLA Battalion #101 military intelligence officers voiced his concern that if they take action to stop this it could reignite conflict between armed groups, so instead they just stay quiet and do nothing. Most of the villagers KHRG talked to reported wanting to stop drugs from being sold in their village, however they felt helpless when having to interact with armed groups which can be dangerous. For example, on March 11th 2013, a 16-year-old student from D--- village, Nabu Township was killed by BGF soldiers after approaching them in order to reclaim property which he had traded for drugs. After confessing to his father that he had sold his motorbike for yaba, his father insisted he buy back the motorbike for 90,000 kyat (US $87.67). The student met with the soldiers and asked for his motorbike back, however, worried that the information would appear publicly, the soldiers arrested him and then beat him to death with a brick. Less than three weeks later, on March 27th 2013, a 62-year-old villager from E--- village, Htoh Kaw Koh village tract, Nabu Township was killed after confronting BGF Battalion #1016 soldiers about the sale of methamphetamines in her village. She told the soldiers that, “You all are Burma’s [Tatmadaw] people. You became rich because you sell k’thee k’thay. I don’t respect you.” She argued with BGF soldiers and then four of Battalion Commander Mya Khaing’s soldiers killed her in E--- village at the riverside by tying her neck with rope and stoning her to death. Although landmines continued to pose a threat to villagers in Hpa-an District during 2013, particularly in Nabu Township, villagers in Paingkyon Township reported feeling safer from landmines than in previous years. 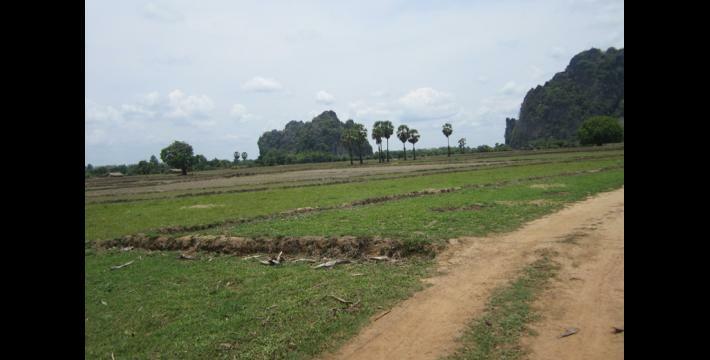 Landmines were a common defensive strategy used by armed groups in Hpa-an District and landmines were planted in villagers’ plantations, gardens or farms where armed groups believed opposing armed groups would operate. 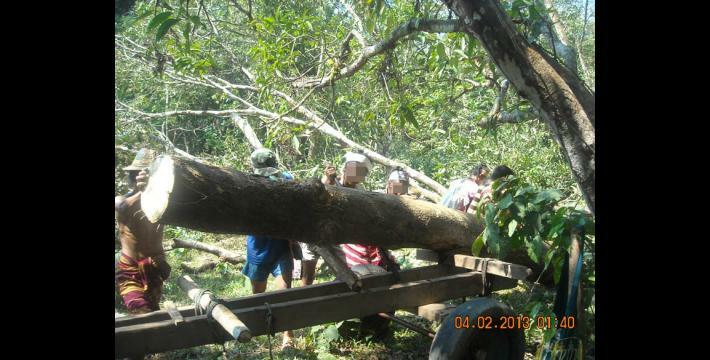 In Paingkyon Township, villagers reported that they can safely go and cut trees in forested areas outside their village for building and repairing their houses and that there were no new landmines planted in their area. 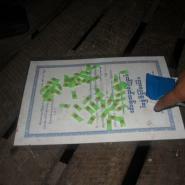 Villagers reported that existing KNLA, BGF and Tatmadaw landmines are marked by the villagers for safety. Landmines were planted within specific areas and villagers asked the KNLA, BGF and Tatmadaw for the location of those landmines so villagers would be able to mark and notify people of those places. 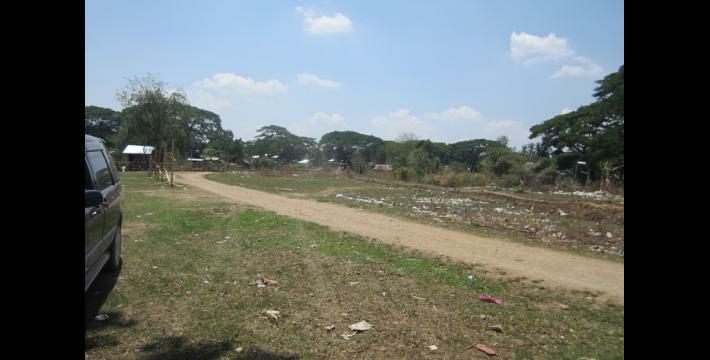 In contrast, landmines planted prior to the 2012 preliminary ceasefire, as well as those reported to be planted after by the BGF and DKBA, continued to pose a threat to villagers in Nabu Township during 2013. 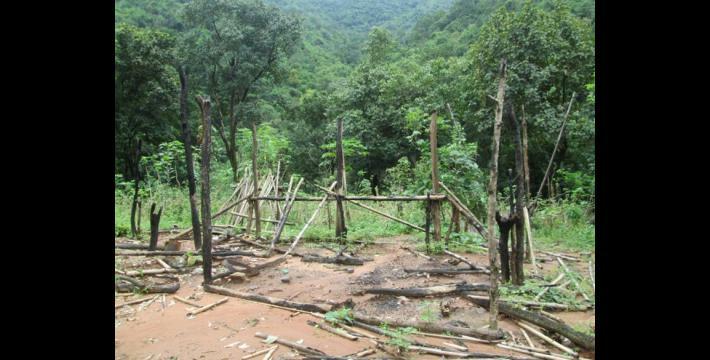 Villagers reported feeling unsafe to cut trees and gather wood or bamboo in forested areas around their village in order to repair their houses. 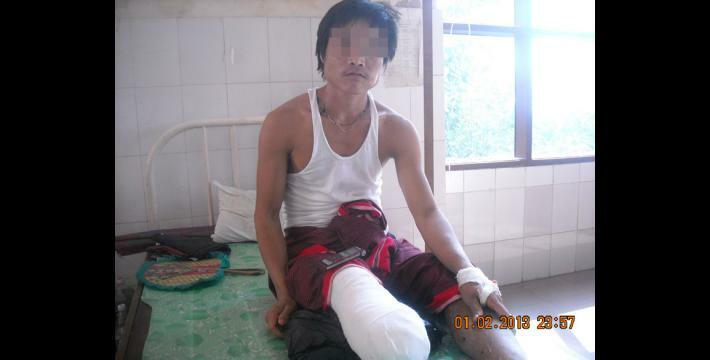 For example, on January 20th 2013, Saw F--- stepped on a landmine in G--- village, which resulted in his leg being amputated. The landmine was new and was reportedly planted by the DKBA. Villagers in Nabu Township strategize by cutting down their own mango, jackfruit and marian trees, as well as other trees that they have planted in their gardens. Villagers mentioned that armed groups did not inform the villagers when they planted landmines, nor did they remember the locations. 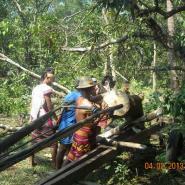 During 2013, KHRG continued to receive reports from rural villagers concerning new and ongoing land issues. 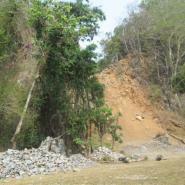 Local villagers reported that land confiscation was still occurring and that they had not received compensation for land that had been appropriated prior to 2013. 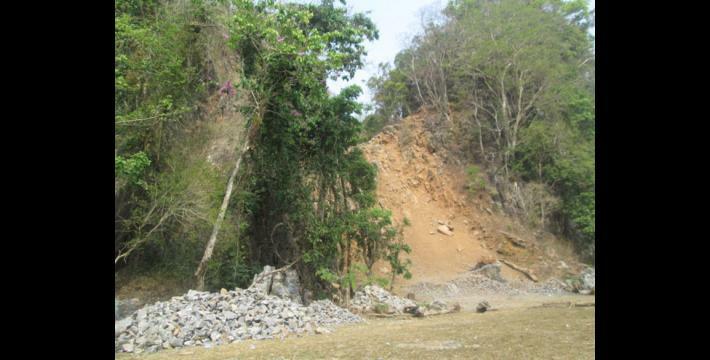 As a consequence, villagers experienced problems earning their livelihoods and KHRG has received several reports of villagers having to sell their possessions to buy back their confiscated land. 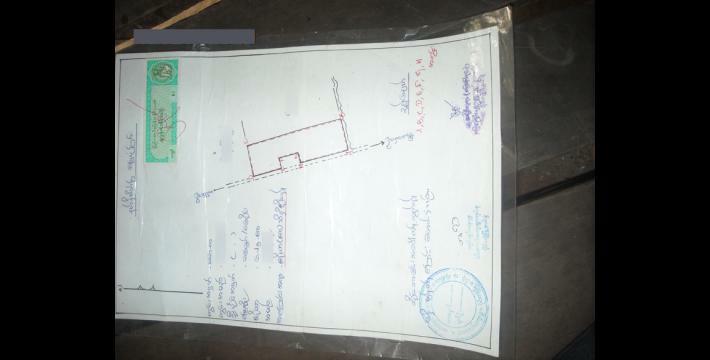 For example, in H--- village, Taw Soh village tract, Paingkyon Township, two BGF officers confiscated approximately 20 acres of land from two villagers. Although, both Naw I--- and Naw J--- held official land grants provided by the Burma/Myanmar government, BGF Battalion #1020 officers Boh Kyaw Hay and Boh Kya Aye told them, “Your land grant is illegal, so we will take your lands.” The officers demanded the women pay a total of 1,100,000 kyat (US $1,071.60) for the return of the land. The women negotiated with soldiers, but ultimately sold their personal belongings in order to pay for the return of their land. Naw I--- had to sell her gold and Naw J--- had to sell one of her motorbikes, after which their land was returned to them. In Nabu Township, villagers actively sought back access to their farmlands and plantations that had been confiscated prior to 2013. In May 2013, villagers in K--- village went to get land grant documents at the Burma/Myanmar Kawkareik administrative office in order to be able to work on their farms again. When they brought their land documents back and showed them to Tatmadaw Light Infantry Battalion (LIB) #548’s battalion commander, he accused the documents of being fake and denied the villagers access to their land saying it was now military land. In K--- village, there are 30 households and 150 people whose lands were confiscated by the army and they have been staying in the K--- village monastery garden ever since. There were over 1,000 acres of land that were confiscated by Tatmadaw LIB #547, 548 and 549. In 2013, KHRG continued to receive reports concerning arbitrary taxation practiced by armed groups and religious leaders. Particularly, villagers identified BGF Battalion #1015, led by Cantonment Area Commander Kya Aye in Paingkyon Township, as one of the primary perpetrators. However, villagers in Paingkyon Township have used negotiation as a successful strategy in reducing the amount of tax paid to armed groups. For example, Cantonment Area Commander Kya Aye directly orders his soldiers to collect taxes on cows that have been traded. A pair of cows are taxed 10,000 kyat (US $10.13) at checkpoints set up in L--- village, Paw Yay Poo village tract and M--- village, Meh Pra Hkee village tract, Paingkyon Township. For this reason, villagers mentioned that they do not receive a lot of profit from trading their livestock. Villagers strategized by lobbying the BGF to reduce the tax on traded livestock, which was later approved. Furthermore, BGF Battalion #1015 soldiers forced villagers to pay taxes on their telephone lines once per year. For those who own or have set up a phone line with a tall antenna, they collect 30,000 kyat (US $29.22) per phone owner every year in every village that has telephones in Paingkyon Township. Some villagers do not want to pay the telephone tax to the BGF soldiers, so they told the BGF soldiers that, because they have to plant paddy or harvest crops, they do not have time to use the telephone often. Again, villagers were able to negotiate with BGF Battalion #1015 to reduce the amount of taxes paid. BGF Battalion #1015 also demands taxes on boats, cars and tractors each year. In Paingkyon Township Cantonment Area Commander Kya Aye instructed his soldiers to collect 5,000 kyat (US $4.70) for each boat in every village and village tract when possible. Each truck is taxed 50,000 kyat (US $48.71) per year. 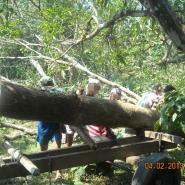 For hand tractors, Cantonment Area Commander Kya Aye collects 10,000 kyat (US $9.74) each year. 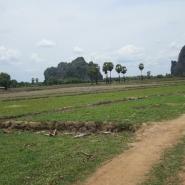 In 2013, KHRG received fewer reports concerning forced labour in Hpa-an District, due to the 2012 preliminary ceasefire. However, KHRG received several reports concerning forced labour involving Tatmadaw LIB #547, #548 and #549 in Nabu Township and BGF Battalion #1015 in Paingkyon Township. Village heads in O--- and P--- villages, Nabu Township, reported similar stories about forced labour and both villages worked only one day and brought their tractors as well. According to a KHRG community member, it is not only LIB #547 which ordered forced labour, but also LIB #548 and #549 as well. 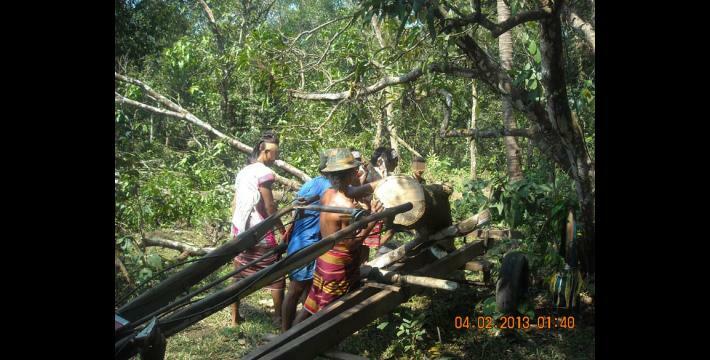 Furthermore, on October 26th 2013, Q--- village, Pee T'Hka village tract, Paingkyon Township, BGF #1015 Cantonment Area Commander Kya Aye forced villagers to cut trees and bamboo and to construct a stage for an event. On June 11th 2013, Cantonment Area Commander Kya Aye ordered the arbitrary execution of a family in R--- village, Pee T' Ka village tract, Paingkyon Township. The killings of Saw S---, his wife and two daughters, the youngest of which was 13 years old, were committed by six soldiers from BGF Battalion #1015 under the direct orders of Cantonment Area Commander Kya Aye. 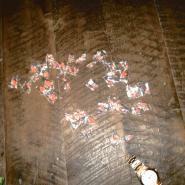 The killings were ordered over accusations that Saw S--- had been practicing black magic. No investigation into these accusations was carried out. Saw S--- and his family were executed without question and their bodies, hut and belongings were set on fire. Soldiers also took two gold necklaces and a small amount of money from the victims’ hut. On April 26th and 27th 2013, fighting broke out between the DKBA and BGF in Myaing Gyi Ngoo town, Hlaingbwe Township, injuring two children. Naw T---, who was one year and six months old at the time, and Saw U---, who was 20 days old at the time were both injured while they were sleeping inside the house during the skirmish. The elders went outside of the house to check the situation after hearing the sound of gunfire and at that time a bullet went into the house from the roof, which landed in the room where the children were sleeping. Naw T--- was injured on her head and her ear. She also received two wounds on her back from being struck by a bullet fragment. Saw U--- was hit on his face and his calf. In order for his grandchildren’s injuries to be healed, U V--- went to Hpa-an Hospital, which cost him 400,000 kyat (US $389.67). 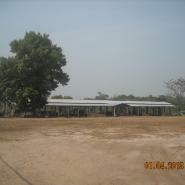 BGF Major General Maung Maung, provided 30,000 kyat (US $30.71) as compensation. Both children fully recovered from their injuries. The KNU/KNLA Peace Council (also called the Karen Peace Council or KPC), is an armed group based in Htoh Gkaw Ko, Hpa-an District, which split from the Karen National Union (KNU) in 2007 and subsequently refused to comply with orders from the then-SPDC government to transform its forces into the Tatmadaw Border Guard. See: “KPC to be outlawed if it rejects BGF,” Burma News International, August 30th 2010. Yaba, which means “crazy medicine” in Thai, is a tablet form of methamphetamine. First developed in East Asia during World War II to enhance soldiers' performance, methamphetamine has become increasingly popular in Thailand, Laos, Cambodia Vietnam, and in Burma/Myanmar where it is typically manufactured. See, "Yaba, the 'crazy medicine of East Asia," UNODC, May 2008 and “Woman raped and killed in Pa’an District, October 2012,” KHRG, December 2012. See “Hpa-an Situation Update: T’Nay Hsah Township, June 2012 to February 2013,” KHRG, July 2013 and “Hpa-an Situation Update: T’Nay Hsah Township, March to May 2013,” KHRG, August 2013. This information was also included in an unpublished Situation Update from Hpa-an District received by KHRG in October 2013. Ar wer day is the name of an event that was founded by Commander Mya Hkaing, formerly of the DKBA and currently Border Guard Battalion #1016 Commander. Ar wer day events typically consist of a group of people gambling and using yaba. 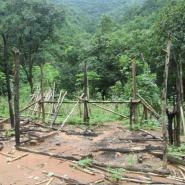 See “Hpa-an Situation Update: T’Nay Hsah Township, March to May 2013,” KHRG, August 2013. 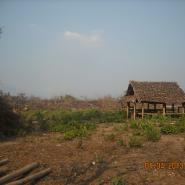 See “Hpa-an Situation Update: T’Nay Hsah Township, June 2012 to February 2013,” KHRG, July 2013. 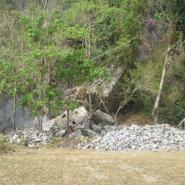 See “Hpa-an Situation Update: T’Nay Hsah Township, October 2013,” KHRG, April 2013. Oh daw a ner translates directly to “have their horns”, which means they have weapons. All conversion estimates for the kyat in this report are based on the January 8, 2015 official market rate of 1026.50 kyat to the US $1. 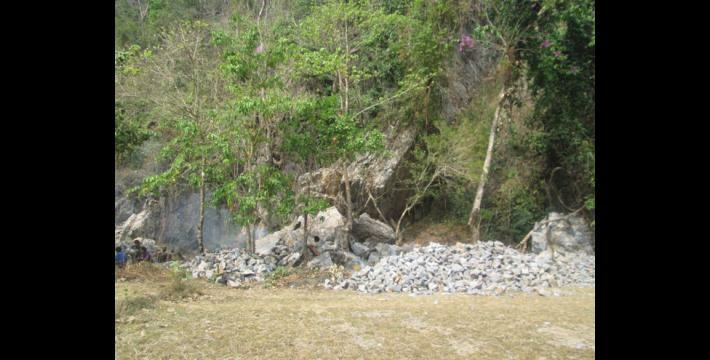 See “Hpa-an Situation Update: Paingkyon Township, June to November 2013,” KHRG, June 2014. See “Hpa-an Situation Update: T’Nay Hsah Township, April 2013,” KHRG, October 2013 and “Hpa-an Situation Update: T’Nay Hsah Township, June 2012 to February 2013,” KHRG, July 2013. KHRG is unable to verify claims regarding which armed group may or may not have planted landmines. KHRG has received numerous reports concerning human rights violations committed by BGF Cantonment Area Commander Kya Aye, including killing, forced labour, arbitrary taxation and land confiscation. 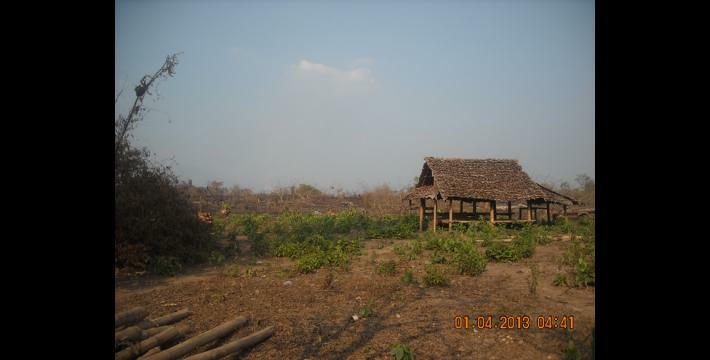 See “Human rights violations by BGF Cantonment Area Commander Kya Aye in Paingkyon Township, Hpa-an District, February 2013 to July 2014,” KHRG, September 2014. Saying that monks will need to be called if the money is not paid is the equivalent of a threat to the villagers’ lives; this is clear in the original Karen language document. 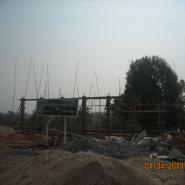 “Hpa-an Situation Update: T’Nay Hsah Township, June 2012 to February 2013,” KHRG, July 2013. 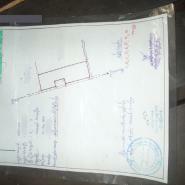 This information was also included in an unpublished Short Update from Hpa-an District received by KHRG in July 2013. 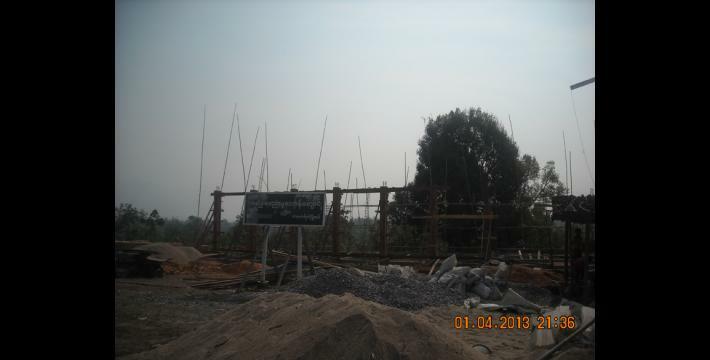 “Hpa-an Situation Update: Paingkyon Township, June to November 2013,” KHRG, June 2014. 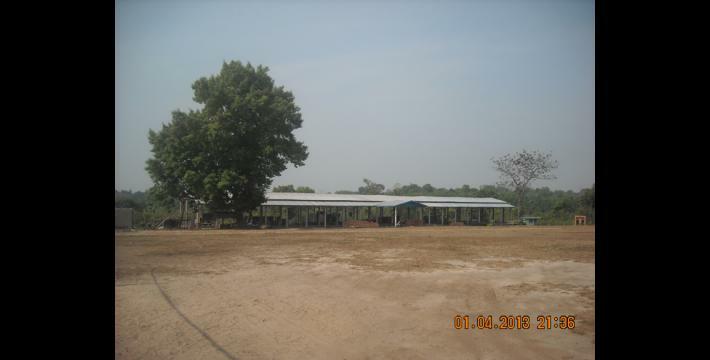 See “Hpa-an Incident Report: Extrajudicial killing in Paingkyon Township, June 2013,” KHRG, May 2014 and “Hpa-an Situation Update: Paingkyon Township, June to November 2013,” KHRG, June 2014. 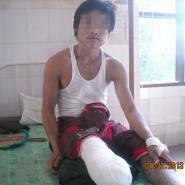 See “Incident Report: Two children injured from DKBA and BGF fighting in Hlaing Bwe, April 2013,” KHRG, October 2013. 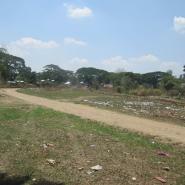 See “Hpa-an Situation Update: Nabu Township, September to October 2013,” KHRG, June 2014.